Tech Saturday – KUBO Challenge! In lieu with this year’s Tech Saturday organized by IMDA Singapore, Duck Learning launched the first KUBO Challenge in Singapore! Both school and general public teams joined us in this 2 days event and got a hands on experience with the KUBO Robot. The KUBO challenge encourages free tinkering and self-directed learning among young children aged 4 to 10. This challenge encompasses of a maze with obstacles where students will conceptualize the best way to accomplish the task given with KUBO Robot with a TagTile™ system that provides new ways to learn to code intuitively. All the young participants worked with their friends and families to figure out ways to help their KUBO Robot complete the maze. Through trial and error and problem solving they devised different routes that KUBO can take on the maze to overcome obstacles. All participants walked away with a certificate of participation and the top 3 winners were awarded with cash vouchers from Challenger! Thank you for all who joined us and we look forward to having more KUBO Challenges coming up in the near future. Follow us on Facebook to stay updated on all Duck Learning events and exclusive webstore promotions! Zhonghua Secondary School recently held their robotics festival which is in conjunction with the completion of Robotics and Computing Program. This gives them the opportunity to apply the knowledge and skills acquired, by representing their class in either the SumoBot Challenge or the Unseen Challenge. Students from Primary schools around the area, such as Pei Chun Public School, Zhonghua Primary, and Rosyth School, were invited to be a part of their festival. The side challenge being the SumoBot Challenge had students compete with each other through the LEGO MINDSTORMS Education EV3 by having the robot pushed each other out of the ring. For the main challenge, The Unseen Challenge, it is an overblown cyclone and the task was to program the robot to help in the disaster relief effort of the city that was battling the aftermath of the cyclone. Two missions that needed to be accomplished, firstly to retrieve food supply and second, to retrieve medical supply. For the second year running, we are proud to organise the Temasek STEM Conference in collaboration with Temasek Primary School. Providing an opportunity for teachers primarily from the East Zone, to learn from our distinguished speaker and workshops, share ideas and network with one another to leverage each other’s expertise. Over 80 educators Primary & Secondary schools in Singapore attended the STEM conference. We would like to thank our distinguished speaker, Dr. Koh Niak Wu for his valuable time and for sharing his expertise with us. Dr. Koh Niak Wu is the CEO of Cosmiqo International Pte Ltd where he leads innovation efforts in supply chains and operational analytics. His work involves the development of analytics engines that advance virtual control towers. He believes in the power of technology and how it redefines an economy. The Temasek STEM Conference ended with a STEM Unconference where participants discussed what they have learnt from the Conference and how they intended to integrate STEM into the education experiences for students. Singapore – 4th May 2017, Saturday – Last weekend, participants from various schools aged 6 to 9 years took part in the first ever held FIRST LEGO League Jr. Singapore during Tech Saturday at the Sands and Expo Convention Centre and was officiated by Minister Yaacob Ibrahim. FIRST LEGO League is a joint initiative by US-based FIRST (Foundation for Inspiration and Recognition in Science and Technology) and LEGO to inspire young people to get excited about careers in science and technology, by engaging them in exciting mentor-based programs that build science, engineering and technology skills, that inspire innovation, and that foster well-rounded life capabilities including self-confidence, communication, and leadership. Targeting students from 6-9 years old, FIRST LEGO League Jr. consists of 2 parts: the LEGO model, and research for the Show Me poster. The first part consists of a research project and a presentation based on the theme for the season. The theme for this season is “Creature Craze” which challenges participants in each team to identify an animal that lives in the same habitat as the honey bees. This encourages students to teach others what they learned from the research findings. The next part consists of the LEGO Model which requires students to build an animal in relation to the Inspire set consisting of the honey bee and to make sure at least one part of the model moves. Teams presented their Show Me poster to judges on the 29th April 2017. Dr Yaacob Ibrahim, Minister for Communications and Information, officiated the prizegiving ceremony for our top awards. The side event included the FUNtastic Challenge where teams were tasked to create a model from the design library; Frog, Gorilla, Spider, Snake and Mantis. Participants were given a guide to building using only three pictures. Teams then had to program and build the model within the time given. Teams then displayed their end product and story-tell their experience. Duck Learning is proud to be the principal sponsor and organiser of the FIRST LEGO League in Singapore. The event is co-organised by IMDA and IMDA Pixel Labs. FIRST LEGO League is also part of the National Infocomm Competition by the Infocomm Media Development Authority (IMDA) and is supported by IMDA. Singapore – 8th March 2017, Wednesday– Last Saturday, over 1000 youths aged 9 to 16 years took part in the finals of the FIRST LEGO League Tournament in Singapore. FIRST LEGO League is a joint initiative by US-based FIRST (Foundation for Inspiration and Recognition in Science and Technology) and LEGO to inspire young people to get excited about careers in science and technology, by engaging them in exciting mentor-based programs that build science, engineering and technology skills, that inspire innovation, and that foster well-rounded life capabilities including self-confidence, communication, and leadership. The FIRST LEGO League targets students from 9-16 years old. Consisting of 3 parts in FIRST LEGO League: the Robot Game, the Project, and the FIRST LEGO League Core Values. The first part consists of a research project and a presentation based on the theme for the season. The theme for this season is “Animal Allies” which challenges participants in each team to identify a problem that happens when animals and humans interact; created an innovative solution that made the interaction better for animals, people, or both; and shared their solution with others. The next part consists of a robot game which requires students to build a robot using LEGO parts to complete missions on a challenge mat. Teams presented their projects to expert judges on the 3rd March 2017 and competed in the robot game on 4th March 2017. Mr Shane Armstrong, CEO of Canadian International School, officiated the prizegiving ceremony on 4th March 2017 at Canadian International School (Lakeside campus). Duck Learning is proud to be the principal sponsor and organiser of the FIRST LEGO League in Singapore. The event is co-organised by Canadian International School and IMDA Pixel Labs. FIRST LEGO League is also part of the National Infocomm Competition by the Infocomm Media Development Authority (IMDA) and is supported by IMDA. Duck Learning was invited to be a part of ICYM 2016 where we held two booths and multiple workshops. One of our booths called the Coders Gym had our participants dive into an inflatable pool to retrieve 6 similar coloured LEGO Softbricks which had the block instructions to help in programming the LEGO Education WeDo 2.0 set helicopter. After which, it had to pick up the bricks and then transport them to the main playfield and then release the bricks. Our other booth called the Detective Den had the participants analysed data and input them into a spreadsheet to calculate from the most cheapest product to the most expensive in cost, then they had to look for the items analysed and placed them on the shelf in consecutive order. Lastly, our presence at the Festival had us holding different workshops ranging from LEGO Education WeDo 2.0, LEGO MINDSTORMS Education EV3 Core Set and LEGO Education WeDo 1.0. 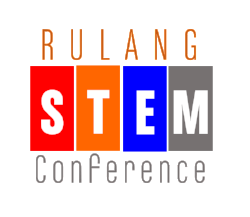 The kids who attended the different workshops were given the chance to challenge the stronger robot with the pullbot, program an alligator’s jaw and program the robot with the robot educator.